By Emily Leaman·	 11/13/2014, 12:25 p.m. When: Friday, November 14th from noon to 3 p.m. The Rothman Ice Rink opens tomorrow with a splash—well, a frozen splash. From noon to 3 p.m., you can be among the first to lace up and skate during the rink’s free kick-off ice skating session. Skate rental and admission are free during the three-hour period. After 3 p.m., regular rates (children, 10 and younger: $3, adults: $4, skate rental: $8) will apply. The rink will be open until 11 p.m. tomorrow night. Details on Dilworth Park’s Facebook page. Our green spaces will get a good scrubbing this weekend, thanks to the efforts of the Philadelphia Department of Parks and Recreation, the Fairmount Park Conservancy and a team of intrepid volunteers. You can do your part by volunteering to help pick up trash at parks throughout the area. Sign up here. When: Thursday through Sunday beginning at 5:30 p.m.
Where: Mugshots Coffeehouse, 1925 Fairmount Avenue, Fairmount. Bistro 7 chef Michael O’Halloran is taking over the kitchen at this Fairmount coffee shop for a Mexican street food pop-up featuring one very Be Well Philly-friendly ingredient: freekeh, a slightly smokey Middle Eastern grain that’s packed with protein. Do yourself a favor and try it. When: Sunday, November 16th from 5 to 6:30 p.m.
Where: 3527 Lancaster Avenue, West Philly. This special one-day workshop features a yoga-and-music collabo created by Dayton, Ohio-based yogis Ben Rivet and Tori Reynolds. The music is a mix of live acoustic guitar and vocals and looped beat-boxing—and yes, it sounds pretty cool. It’s $20 to participate. 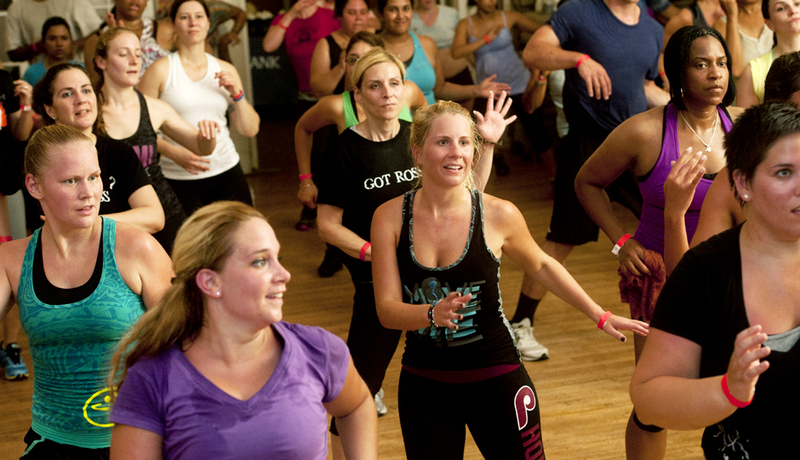 When: Sunday, November 16th from 9 a.m. to 1 p.m.
Where: Sweat Fitness Center City, 1425 Arch Street, Center City. The gym’s annual fundraiser for City of Hope returns this weekend, benefitting cancer and diabetes research, education and programs. 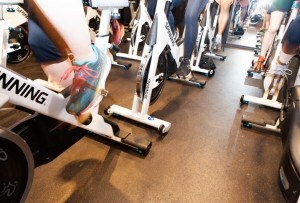 For $50, you’ll have access to a dozen classes and an all-day Spin-a-thon. There will also be refreshment, gift bags, and a silent auction. One-hundred percent of the proceeds goes to City of Hope. When: Sunday, November 16th at 8 a.m.
Where: The Philadelphia Zoo, 3400 West Girard Avenue, Philadelphia. Start your morning running past lions and tigers and bears at this 5K held at the Philadelphia Zoo. Registration is $30 before November 15th and $35 after, and includes entry to the zoo. You can register here. When: Sunday, November 16th from 3:30 to 5 p.m.
Where: 1170 South Broad Street, South Philly. Ninety minutes of J.T. 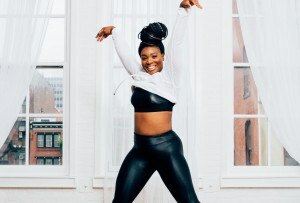 awesomeness with Philly Dance Fitness. You’ll learn smooth hip-hop moves—think slides, shoulder shrugs and spins—to Justin Timberlake’s very best hits. It’s $25 to participate. When: Sunday, November 16th at 10:30 a.m.
Where: Chaddsford Winery, 632 Baltimore Pike, Chadds Ford. Chadds Ford-based Transcend Yoga & Wellness is hosting a pop-up class at Chaddsford Winery that includes a 75-minute yoga class followed by a tasting of 10 of housemade wines. The yoga class is held in the tasting room. It’s $25, and don’t forget to bring your mat. When: Sunday, November 16th from 10 a.m. to 1 p.m.
Where: Sweetwater Farms and Grace Winery, 50 Sweetwater Road, Glen Mills.